Steamboat Ski & Resort Corporation wants you to have big smiles and wins this winter season! Enter to win a VIP Steamboat Vacation or other great prizes! 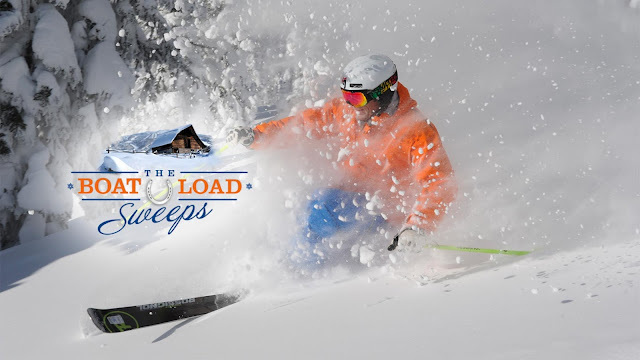 The Grand Prize consists of a Steamboat family vacation for four (4) people during the 2018-19 ski season at the Steamboat Ski Resort and is limited to the following: (a) round-trip coach airfare for four (4) people between the major metropolitan airport nearest to prize winner’s primary residence (in the event of any dispute, airport shall be as determined by Sponsor in its sole discretion) and either the Hayden, Colorado (HDN) or Denver, Colorado (DEN) airport (airport, carrier, seating, and travel dates and times as determined by Sponsor in its sole discretion), (b) five (5) nights lodging for four (4) people at the Steamboat Grand or other luxury property in a penthouse or other luxury unit (dates and room as determined by Sponsor in its sole discretion and subject to availability), (c) four (4) lift tickets valid for four (4) days consecutive skiing at Steamboat Ski Resort during the 2018-19 ski season (dates as determined by Sponsor in its sole discretion; lift tickets subject to the terms, conditions, limitations and restrictions thereof), (d) ground transportation for four (4) people between the destination airport and the Steamboat Grand (times and methods of transportation as determined by Sponsor in its sole discretion), (e) half day skiing with Billy Kidd or another Olympian (subject to availability; date, time and location as determined by Sponsor in its sole discretion), and (f) complimentary demo ski or snowboard equipment rentals (skis, boots, poles, helmets) at the Steamboat Ski & Sport Pro Shop (rentals subject to the standard terms, conditions, restrictions and limitations of Sponsor). The ARV of the Steamboat family vacation is $15,000. December Monthly Drawing Prizes: (1) pair of Vasque snow boots. The ARV of each December Monthly Drawing Prize is $150. January Monthly Drawing Prizes: (1) SmartWool top and two (2) pairs of SmartWool ski socks. The ARV of each January Monthly Drawing Prize is $150. February Monthly Drawing Prizes: (1) Go Pro HD Wearable Camera. The ARV of each February Monthly Drawing Prize is $300. March Monthly Drawing Prizes: (a) one (1) Marmot jacket and (b) one (1) pair of Marmot snow pants. The ARV of each March Monthly Drawing Prize is $500. This Sweepstakes ends on 04/15/18 and you can ENTER ONCE to win.